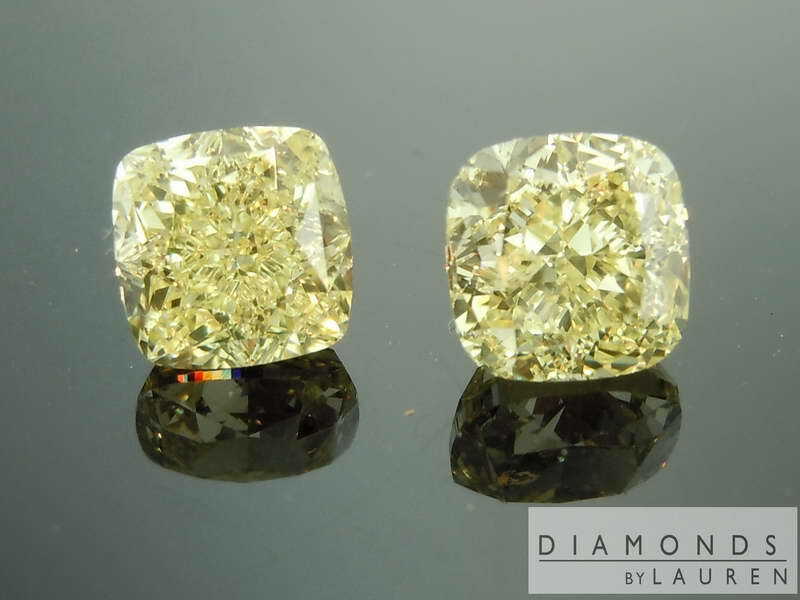 This is a beautifully matched pair of fancy yellow diamonds. 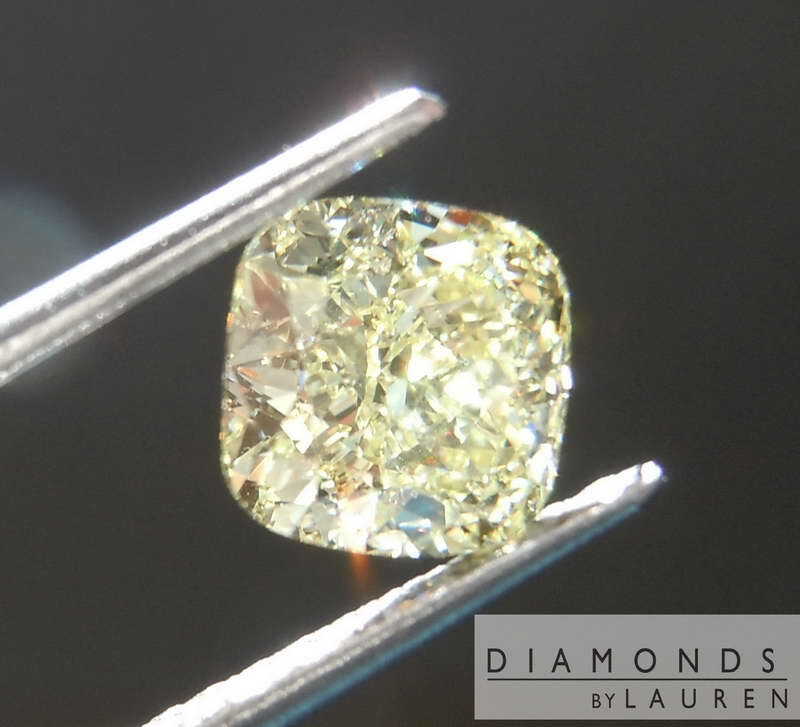 The color on both his strong fancy yellow, bordering on fancy intense yellow. 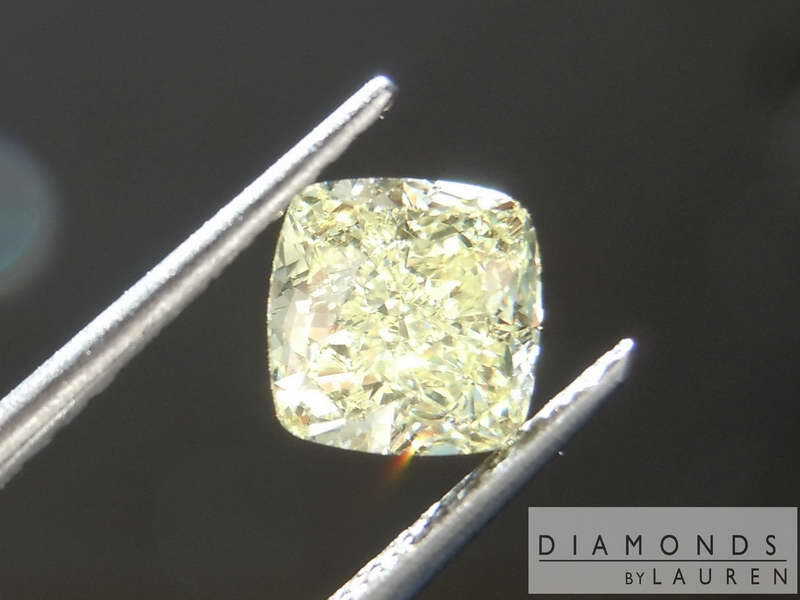 Both diamonds are beautifully cut with great sparkle. 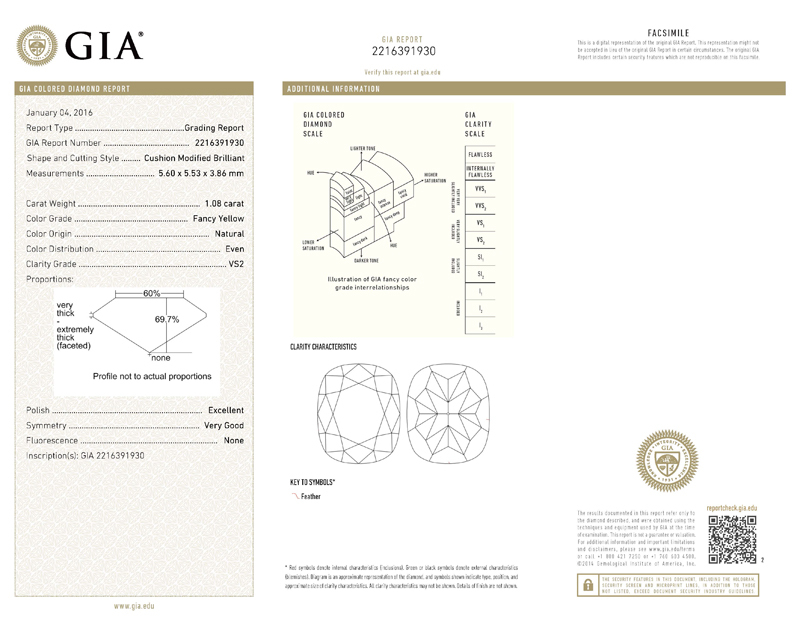 Both diamonds are eye clean, graded VS clarity by GIA. 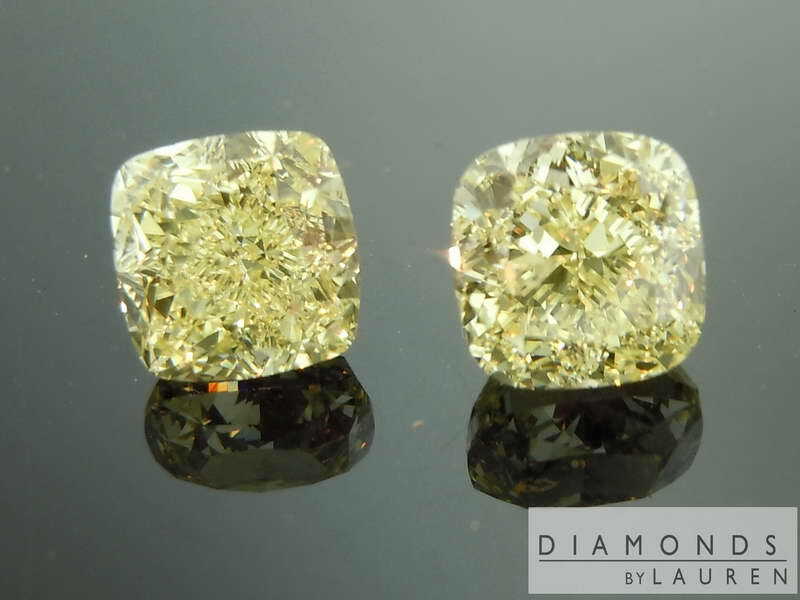 We have priced the diamonds in 18 karat yellow gold studs. 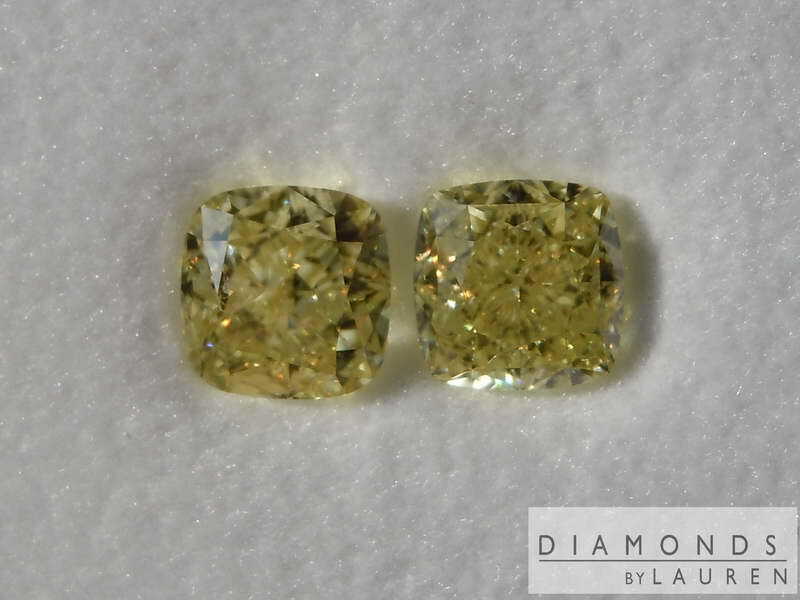 They are currently loose, we can have them set in yellow gold studs within few days time. 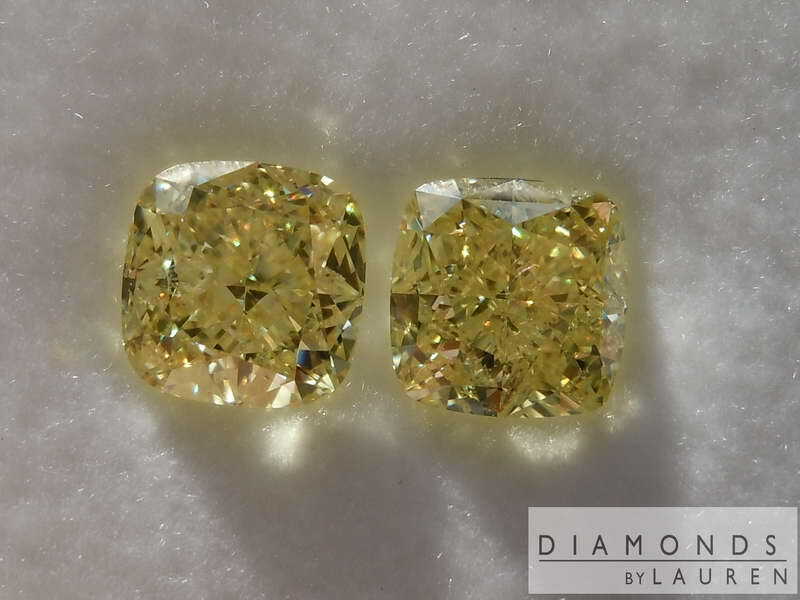 If you'd like a pair of hand forged earrings like our R5673, we will offer them to you in platinum and 18 karat yellow gold for a special price of additional $2500 to the price - hand forged takes about two weeks.